Liverpool have confirmed goalkeeper Loris Karius has joined Besiktas on a two-year loan deal. The 25-year-old was named on the bench for Liverpool's opening Premier League fixture of the season against West Ham, but left out of the squad against Crystal Palace and Brighton. Jurgen Klopp has praised goalkeeper Loris Karius after his loan move to Besiktas was confirmed on Saturday. On Friday, Besiktas appeared to confirm the arrival of the Liverpool keeper with a graphic of him on their Twitter page, and the move was completed on Saturday. The Turkish club have started their Super Lig campaign with two wins and are tied 1-1 with Partizan in the Europa League play-offs. Karius made 49 appearances for the Reds after joining from Mainz in 2016. 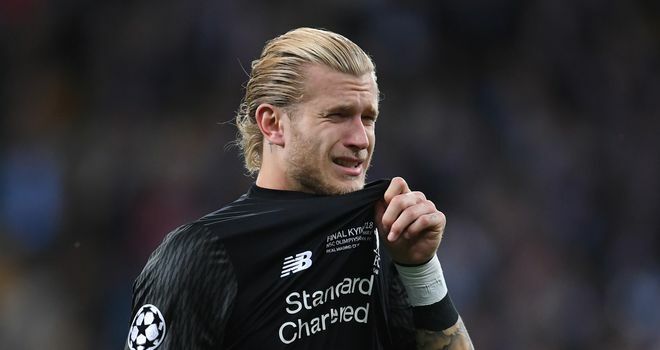 He was in tears at the final whistle and the Reds decided to sign Roma's Alisson, subsequently signing the Brazil 'keeper in a then world-record £67m transfer.